I had the idea one day to create drawings based on cryptozoological monsters of the United States. I started with my home state of Missouri and Momo, the Missouri Monster. Momo was originally spotted in 1972 in Louisiana, Missouri and was described as being 6 or 7 feet tall, black & hairy, with hair covering his eyes and no neck. 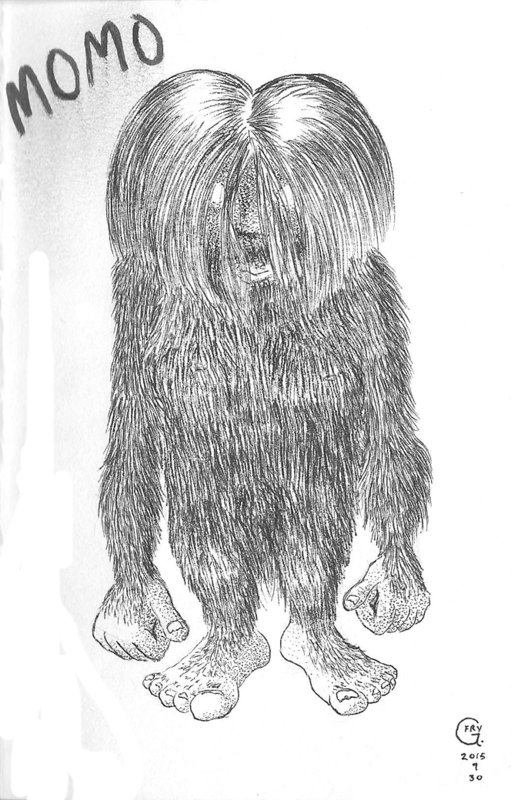 Well, it seems nearly every state has some version of Bigfoot or the Loch Ness Monster, but something about the shaggy hair covering the eyes made me want to do a little sketch of Momo. Here it is.